A Well-Seasoned Life: Sizzlin' Summer Reads: "Honey Crafting"
I've been interested in honey for a while now. I wrote an article for my food column where I discussed the merits of using local honey in your cooking. We're fortunate to have a beekeeper/honey maker in our area who sells products made with the locally produced honey. In addition to the honey, I've enjoyed using the honey soap as part of face-washing routine. It seems to help calm any redness in my skin. So, when I saw there was a new book being published that focused on honey, I knew that I had to get my hands on it. 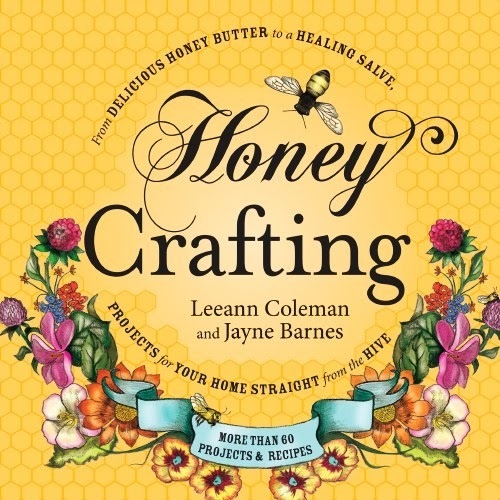 Honey Crafting: From Delicious Honey Butter to Healing Salves, Projects for Your Home Straight from the Hive by Leeann Coleman and Jayne Barnes is the new craft/cookbook from Adams Media. If any aspect of honey interests you then you need a copy of this book. Each section of the book introduces you to the supplies that will be needed to create the products as well as the safety features to help ensure that the process runs smoothly. In the Honey Crafting for the Home section, you will learn to make your own beeswax candles. The second section, Honey Crafting for the Body, is full of recipes for soap, scrubs, lip balm, body cream, salves, and soothing syrups. While I haven't attempted any of the body crafts, I am fascinated by them and would love to try to make some of them since I love my honey soap so much. Whenever I'm in the kitchen, I love to incorporate honey into my recipes as much as I can. I think honey provides the perfect amount of sweetness to my dishes, especially savory dishes. There are about three dozen recipes here in this cookbook that all incorporate honey into the list of ingredients. From vegetables and meat dishes to dressings, butters, and desserts, you will find a recipe that appeals to you. Pat the shrimp dry with paper towels. Cut the prosciutto into strips about 1-1/2 inches wide and 2-1/2 to 3 inches long. 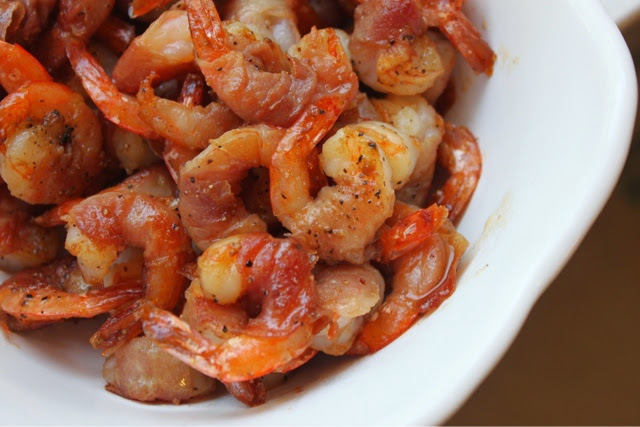 Wrap a strip of prosciutto around the center of each shrimp, pressing lightly to seal. Heat the oil in a large nonstick skillet over medium-high heat. Add the shrimp and cook, turning once, until the shrimp start to turn pink and the prosciutto starts to crisp, about 4-5 minutes. Season with pepper. Transfer the shrimp to a plate and tent with tinfoil to keep warm. Add the stock, lemon juice, and honey to the pan and bring to a simmer. Add the shrimp and any accumulated juices to the pan and stir to coat the shrimp evenly, being careful not to damage the prosciutto wrapping. Heat through, about 1-2 minutes. Season to taste with salt and pepper, and serve hot. 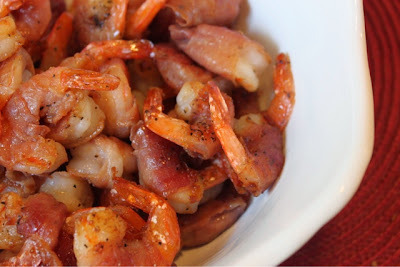 These shrimp were delicious! It was hard to wait until the rest of the meal was done before we jumped in and devoured them. Sweet and savory - my favorite combination. I think this book would make a lovely gift. It's absolutely gorgeous with its golden honey cover and beehive pattern motif that runs throughout the pages of the book. Give this book with some beeswax candles and a jar of local honey. It's a winner!